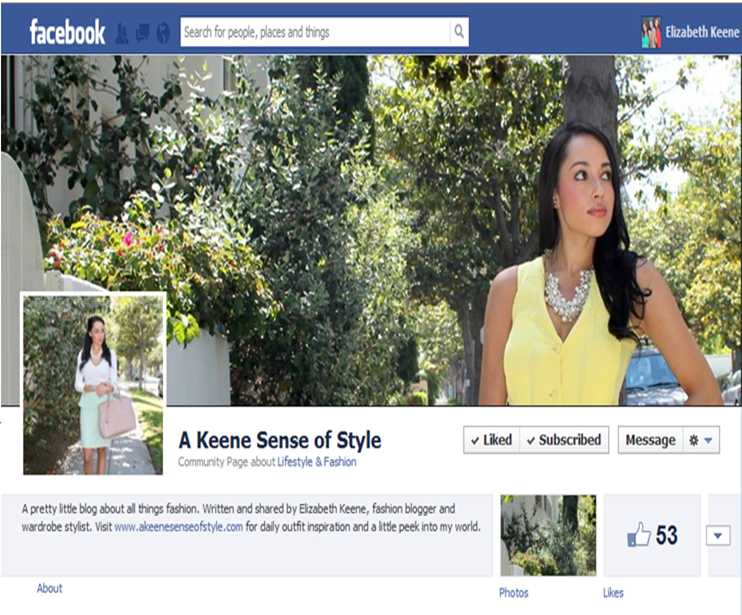 A Keene Sense of Style is on Facebook! A Keene Sense of Style is new to the Facebook community and it would mean so much to me if you could take a moment to visit my page and “Like” it, if you feel so inclined. I would greatly appreciate your support. As always, thank you so much for reading! I'm a fan 🙂 Welcome to facebook… now that my blog has a page, I barely use my personal account… I guess I am better friends with my bloggers than the people I see in real life, haha. I will definitely "like" your page! !